Facebook's new solution for getting messages from non-friends means the end of the little known 'Other' inbox. Facebook wants anyone around the world to be able to message you on Facebook, but to do it, the social network is killing a part of your Facebook inbox you probably never knew you had. Facebook’s barely known and rarely used ”Other” inbox will soon be discontinued in favor of a new addition to Messenger called Message Requests. If you don’t know what the Other inbox is, login to facebook.com/messages and at the top of the left-hand navigation panel you’ll see the “Other” heading. In there are messages from non-Facebook friends and Facebook pages. The idea behind “Other” was to deliver unauthorized messages—i.e. messages from non-friends—without overloading your inbox. The Other inbox was a nice idea, but in practice no one used it. 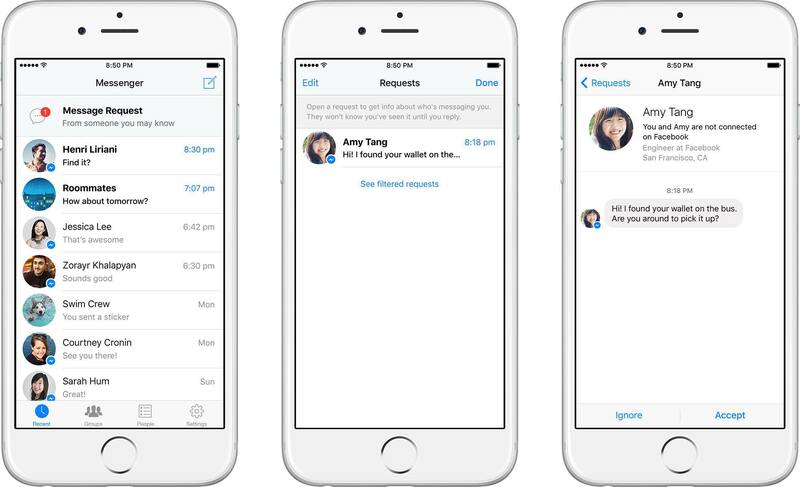 Facebook is hoping Message Requests will fill a similar role to the Other inbox, but become far more useful. The major difference is that Message Requests is built for the Facebook Messenger apps on Android and iOS, not the desktop. You can still find it on the desktop in the same spot as Other was, according to a screenshot obtained by TechCrunch, but Message Requests is mobile first. On Messenger for Android and iOS, Message Requests appears as a folder at the top of your message queue. When you have a new message from a non-Facebook friend it will be routed there, and you’ll see an unread count when you have new messages. The story behind the story: Facebook has much bigger ambitions than just improving the Other inbox. With Message Requests, the company hopes more people will turn to Facebook to message people they don’t know but want to contact—the idea being Message Requests will one day replace the always awkward ask for another person’s phone number. It may also replace the even more awkward Facebook friend request and potential rejection thereof. Message Requests can be used for everything from connecting with a new friend you met at a party, reconnecting with an old high school friend, or attempting to return a stranger’s wallet. When you do get a Message Request you will be able to view the name of the person who sent the message, some basic profile information, and the message itself. If you reply to the person, their message will move from the Message Requests folder to the regular inbox. “We truly want to make Messenger the place where you can find and privately connect with anyone you need to reach...Now, the only thing you need to talk to virtually anyone in the world, is their name,” said David Marcus, Facebook’s head of messaging products, in a public post on his personal Facebook account. Marcus says the company won’t allow just anyone to land in your Message Requests folder and “will continue to ruthlessly combat” spammers on Facebook. Message Requests also encourages users to sync their mobile address books with Facebook. 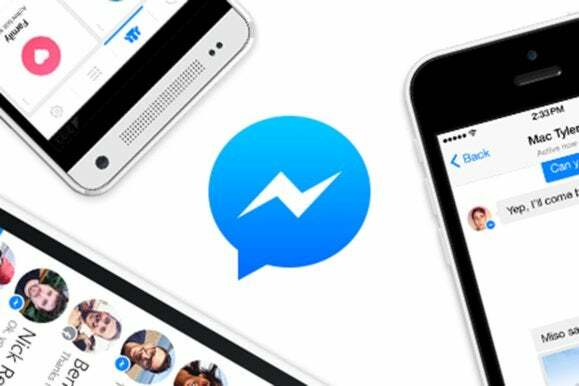 Even if you aren’t Facebook friends with someone, as long as they are in your phone’s address book—and you address book is synced to Facebook’s servers—Facebook messages from them will appear in your Messenger inbox. Message Requests is rolling out now to users worldwide.